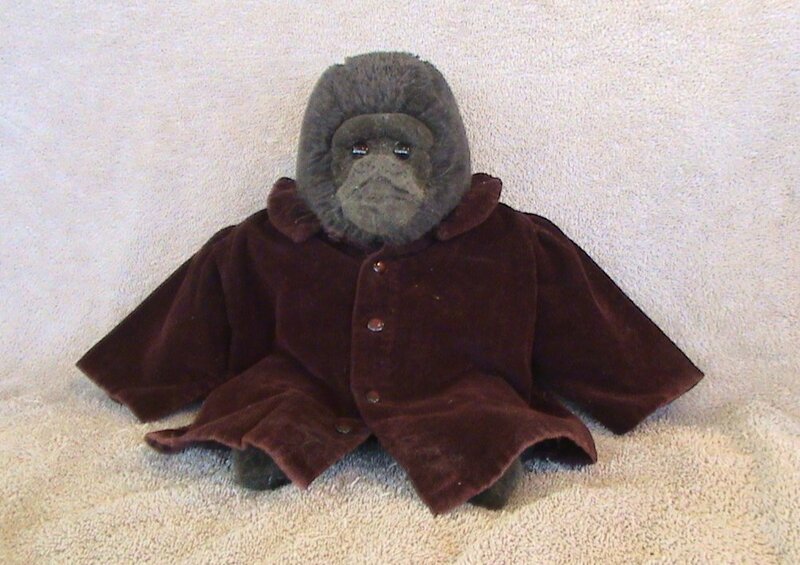 The Gorilla is wearing a baby coat made by Daulcy Bates Calliham for her first great grandson. 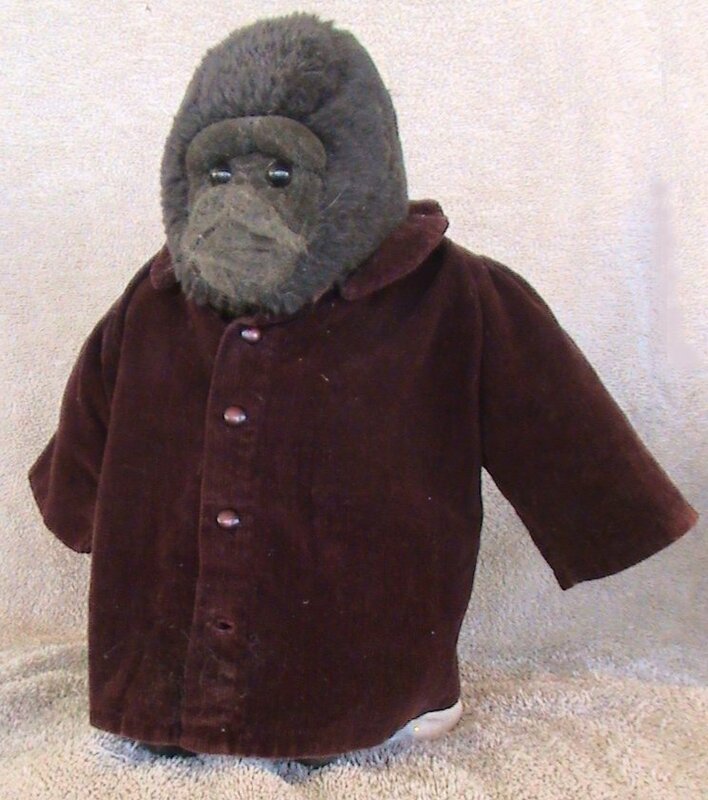 Mother kept this little coat for many years, as Granny made it for you when you were born! Since we were all together your first year, maybe Mother took when you out-grew it (It was special since Granny made it for her first [great] grand child). I can't remember when Mother gave the little coat to me. It could have been when she was going to the nursing home. I put a note with the coat so my children would know is was a "keepsake." I am so glad that wanted the memento. It was your's in the beginning! You tried to say Aunt Tuggy!